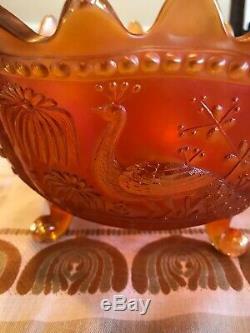 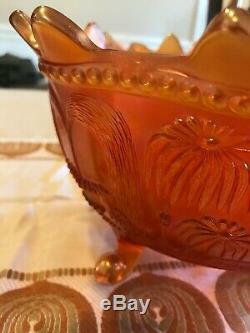 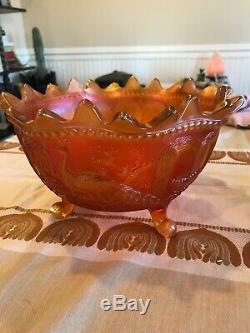 ANTIQUE CARNIVAL GLASS PUNCH BOWL ON PEDESTAL PEACOCK AT THE FOUNTAIN MARIGOLD. 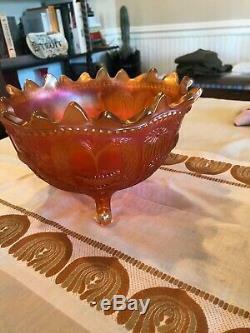 The item "ANTIQUE CARNIVAL GLASS PUNCH BOWL ON PEDESTAL PEACOCK AT THE FOUNTAIN MARIGOLD" is in sale since Saturday, February 9, 2019. 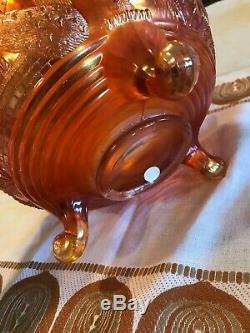 This item is in the category "Pottery & Glass\Glass\Glassware\Carnival Glass\Vintage (Pre-1940)\Northwood". 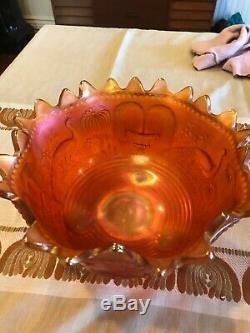 The seller is "art*antiques*comic*media*collectibles" and is located in Wayne, Michigan.